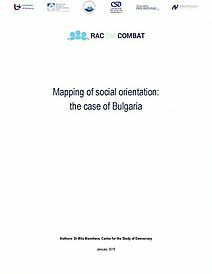 Structural factors such as entrenched poverty, low education rates, low labour market participation and political non-participation lead to a wide spread exclusion of the Roma from all major spheres of live. This is combined and re-enforced with opinions that it isn’t worth it to invest in Roma communities as there are no results from those investments. 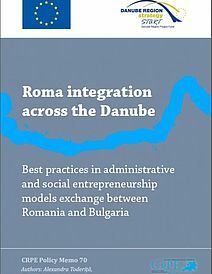 To provide new data and insight on the social and economic effects of public investments in Roma communities research work was undertaken. 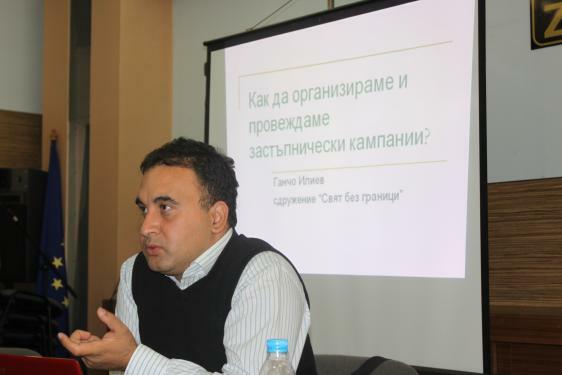 To present the findings of the research and to promote a policy focused debate through practical solutions on local level, a training for civil society representatives was hosted by the Centre for the Study of Democracy and World without Borders in Stara Zagora on 27 October 2015. 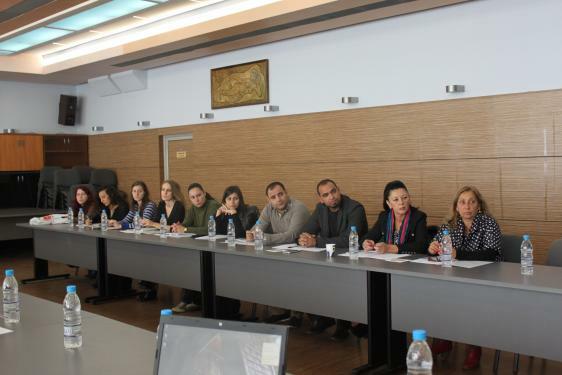 The training was attended by over 30 participants, including representatives of the “Samaryani” Foundation, representatives of the Amalipe community centres, "Become a Guardian", Burgas, "Future for Children", Kazanlak, youth workers from the International Youth Centre in Stara Zagora. 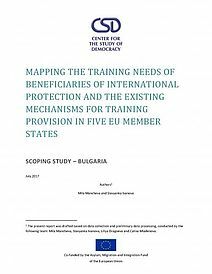 The training was opened by Yva Alexandrova, Senior Analyst with the Sociological Program of the Center for the Study of Democracy, and Gancho Iliev, executive director of World without borders. 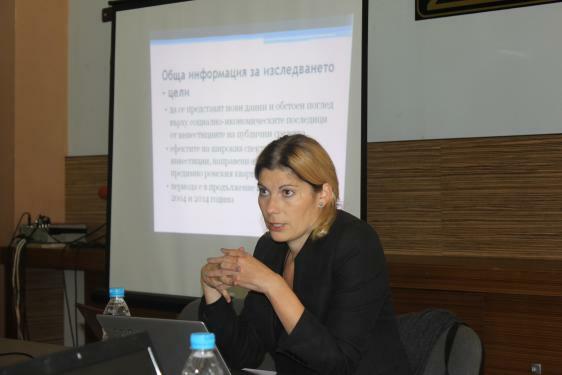 Yva Alexandrova outlined the scope of the survey in the town of Kavarna and highlighted some of the results from the study. The most clear and direct effects have been established with regard to investments in infrastructure and housing. 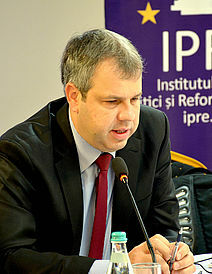 In 2004 a process of legalisation of illegal houses in the Roma neighborhood Hadji Dimitar was started and a municipal accomodation centre was renovated to house families in extreme poverty. Major investments were made for the construction of a water pipeline and a sewerage system. It is difficult to draw conclusions about the level of healthcare as effects take longer to manifest themselves. However, it may be noted that access to medical care services has improved. 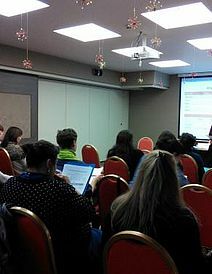 The situation is similar in the field of education where despite the lack of overall assessment data, some general tendencies can be outlined - there is a positive trend in the increase of enrolment rates for pre-school and primary education, while the kindergarten and the school in the Roma neighborhood are completely renovated. However, the dropout rates and the level of educational attainment as a whole remain low. The results in the field of employment show the close correlation between the level of education and the position on the labor market. 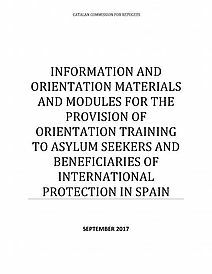 The overall picture shows low levels of permanent employment, dependence on seasonal and low-paid jobs and very high rates of labor migration. In the area of income, the importance of migration is clearly visible, as almost half of the Roma households in Kavarna depend on income generated abroad. There are visible results also in the field of reducing poverty and material deprivation. The percentage of Roma households living in poverty in Kavarna is relatively lower compared to the national average. 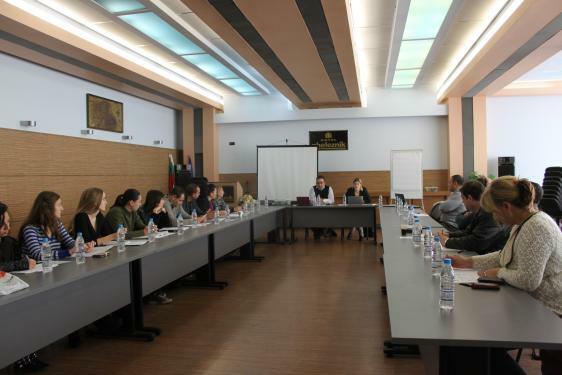 In the area of justice and crime the levels of criminality in Kavarna municipality seem significantly lower than those in the country as a whole and there are no reported cases for many types of crimes. 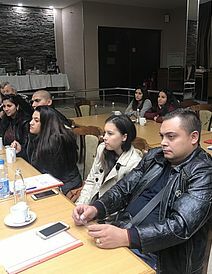 In the area of political participation, there are four Roma representatives in the municipal council elected during the previous municipal elections in 2011 and an appointed Roma municipality liaison person. 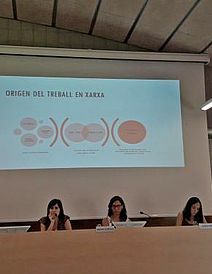 The presentation of the main findings of the survey was followed by a lively discussion. 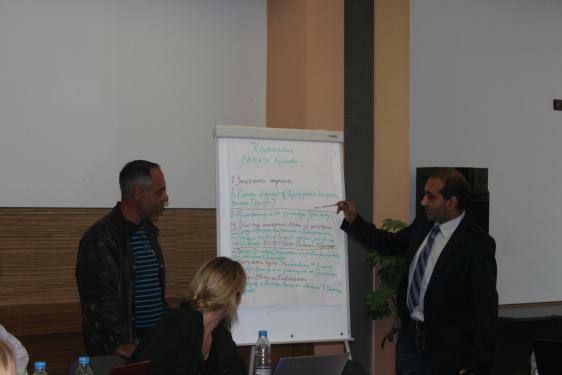 The participants shared the view that there are public investments in Roma communities in the country as a whole, but some participants expressed doubts about the effectiveness of the spent resources, whether they are sufficient and whether their spending and their results are visible. It was also shared that in order to have the best effect of the investments, the community must be prepared in advance and the most successful way to achieve it is through the engagement and work of community-based organisations. Particular emphasis was placed on the need for recognition of the education as a value for the community. 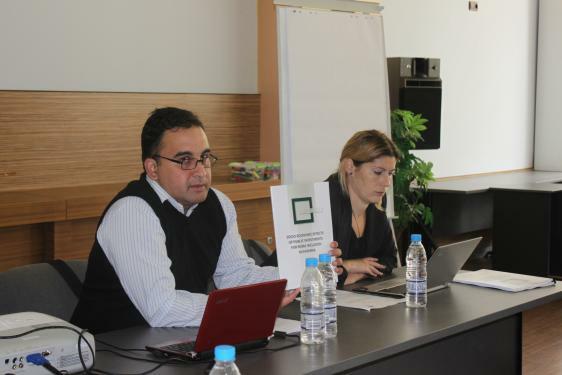 After the discussion Gancho Iliev outlined the main mechanisms for advocacy in working with local authorities and shared very concrete and practical advice for building a successful advocacy campaign. 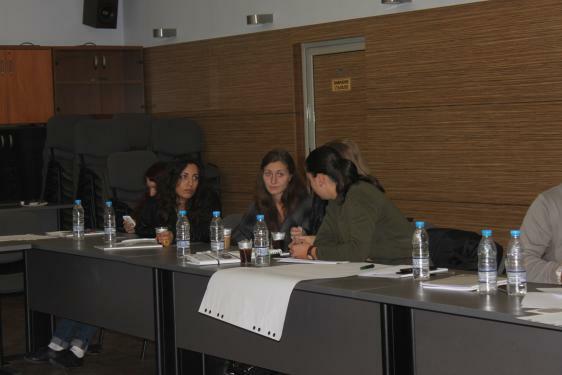 Participants in the training were given the task to build and present elements of an advocacy campaign targeting the community on a topic in which they already work and have experience. Among the presented initiatives were a campaign against early marriages, a campaign to attract children from homes for children deprived of parental care in youth activities, a campaign for positive paternity "Where is the father?" 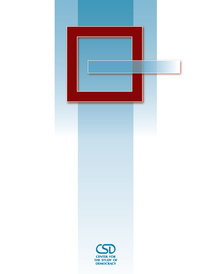 a campaign for targeted support for children to attend schools "Become a guardian". 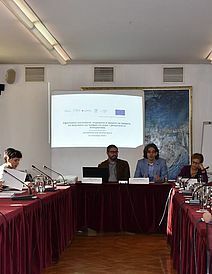 In the last part of the event Gancho Iliev outlined the role of the civil society for the development of regional strategies for Roma integration and local integration plans. 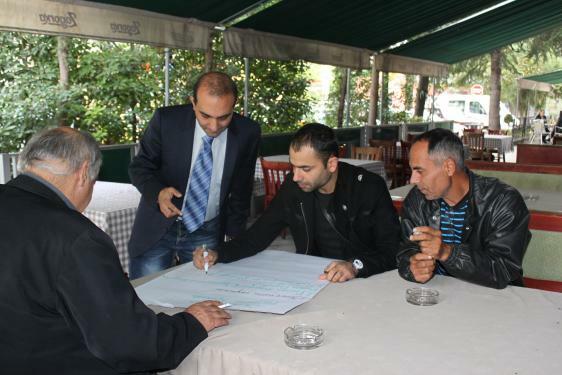 Within the following discussion were shared available tools and programmes for financing initiatives in the framework of the strategies and plans at a municipal level. 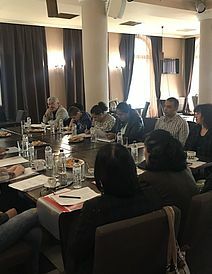 At the end of the event Yva Alexandrova thanked the participants and reiterated the importance of effective participation of Roma organisations in the formulation, implementation and evaluation of local policies and investments, as well as continuing field work in the community. 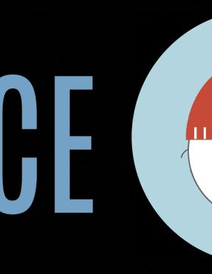 Founded in late 1989, the Center for the Study of Democracy (CSD) is a European public policy institute dedicated to the values of democracy and market economy.